We will pay you top dollar for your used NEC phone system and NEC phones. Just contact us today to sell used NEC phone systems and NEC phones in good working condition. We pay for freight. Call 1-888-234-4975 for more details. The NEC DSX offers you high performance, flexibility and the ability to custom design the system to your customer’s specific requirements. Innovation starts with the new telephones that feature a sleek, compact design, speakerphones, large displays and a built-in desk stand/wall mount kit with two-position angle adjustment. 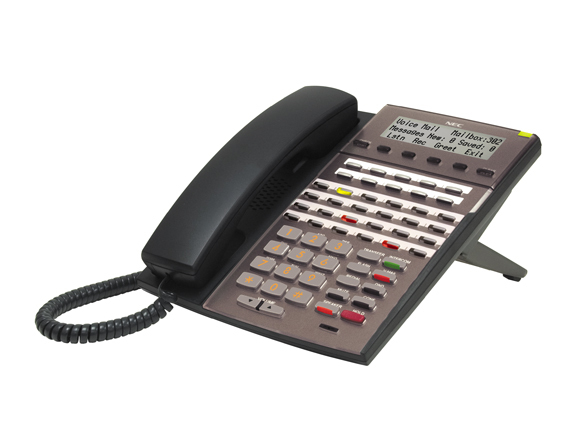 Enhanced version telephones also offer illuminated dial pads and backlit displays. All DSX key telephones and consoles are available in a black or white version. We can quote an existing system configuration or design a refurbished NEC phone system to fit your needs. If required, we can install your refurbished used NEC telephone system through our nationwide network.